It is a great pleasure for Peter Amby Gallery to present 'Factory to Factory'; An exhibition with new works by Michael Bevilacqua (b. 1966, US). Michael Bevilacqua grew up in California in the 70s and 80s and most of his work takes outset in popular culture from this period. For this exhibition the focus has been the notorious punk bands Joy Division and New Order. The exhibition presents 16 new paintings and assemblages, all dressed in black and chrome. 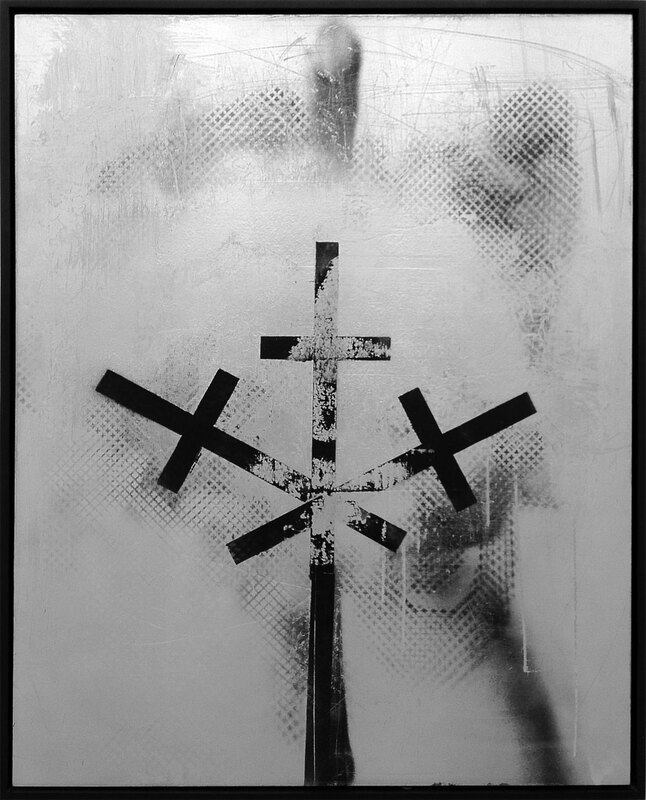 The exhibition makes its starting point in the work ‘Ceremony’ (2012), which depicts three crosses that meet eachother in a circle, as if three knights were making a gesture with their swords crossing by their blades.The work takes the viewer back to Michael Bevilacqua’s childhood. When he went to church as a child, he would always imagine that the crucifix was the sword of a knight. It is also a symbol of the the inner fight that is an essential part of identity. Ceremony is also the title of a song by New Order. ‘Burnt Offering’ (2012) consists of the side of a wooden crate, coated with a matt black finish and appears as an artefact of something that was burned; The left over of ancient offering to the gods. A Burnt Offering is an ancient ceremony and in the exhibition it appears as a painting that has been burned, loosing its figuration to a ceremony or ritual. You cannot have a ceremony without an offering. ‘Opus 7:15’ makes reference to a classical piece of music in its title but also contains the fact that the artist and the lead singer of Joy Division, Ian Curtis, have a shared birthday on the 15th of July. ‘Born of a Broken Man’ is the first work in a group of nine smaller works that is scattered over two walls through the corner of the gallery. 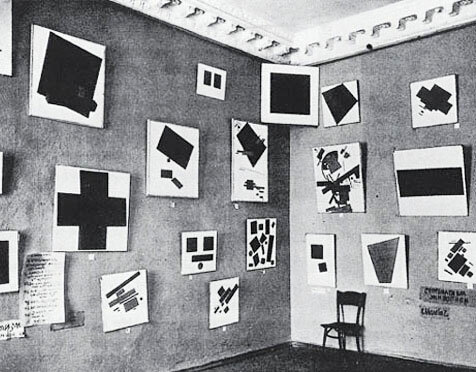 The installation resembles a famous installation made by Kazimir Malevich (1879-1935) in “The Last Futurist Exhibition of Painting ‘0.10’” in 1915 in Petrograd, Russia. As with the famous constructovist, the works contain imagery which are loaded with basic versions of the cross - but in the case of Bevilacqua they are almost dissolving or hidden in the works. The word ‘DisOrder’ is repeated through the group of works, except for the work ‘Proverb I’ which contains the text to the song Isolation. Appropriately, ‘Proverb I’ is placed in the middle of the group. DisOrder is maybe the most famous song from Joy Division’s Unknown Pleasures album. 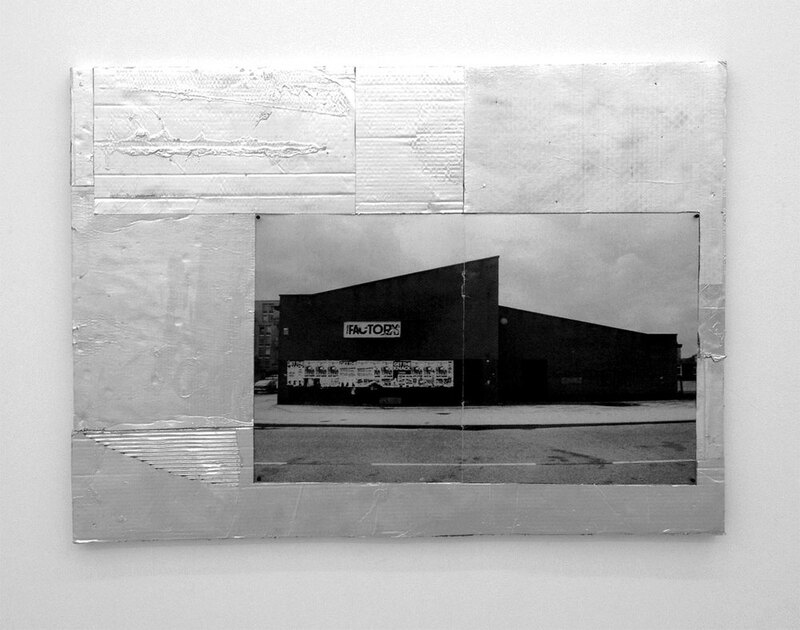 The last work in the exhibition, ‘FCTRY’ is an assemblage that contains an image of the Factory Record’s studio in Manchester, where Joy Division and New Order recorded their albums. In ‘FCTRY’ the building almost appears as a holy building, a church of some sort and the work could be a sort of primitive altar in a future church of punk. Michael Bevilacqua has exhibited at Louisiana, Deste Foundation, Deitch Projects, Chelsea Art Museum, Palais de Tokyo m.m. and is in many major collections, amongst others Deste Foundation, Mitsuni, Faurschou Faundation and Whitney.